Mid-November our first spell of cold weather arrived. 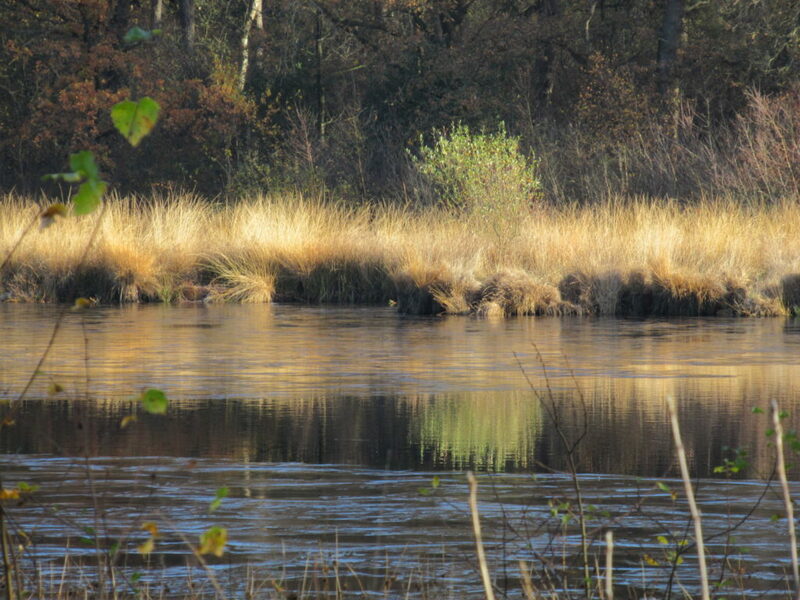 One Sunday morning we woke to a wonderfully quiet, frozen world. 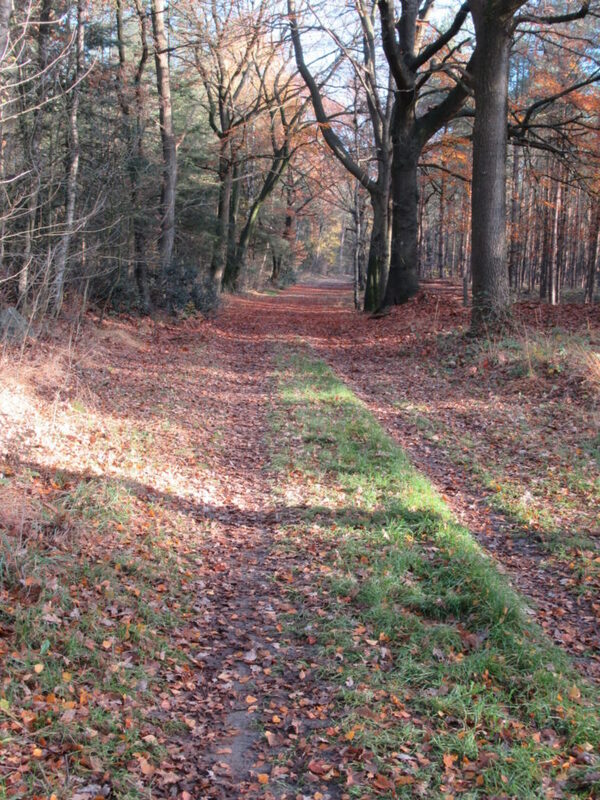 We often spend our Sundays (or at least part of them) walking or cycling. On this Sunday we couldn’t wait to get outside, and we set out for a walk straight after breakfast. The thermometer indicated zero degrees Celsius. 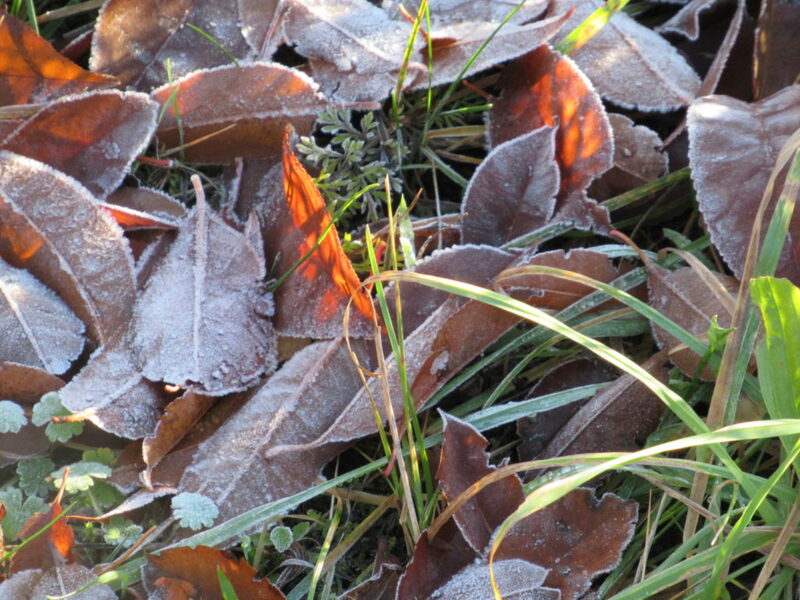 The fallen leaves were white with frost, the air was crisp and the sky was a clear, pale blue. During the night a thin film of ice had formed on the pools. 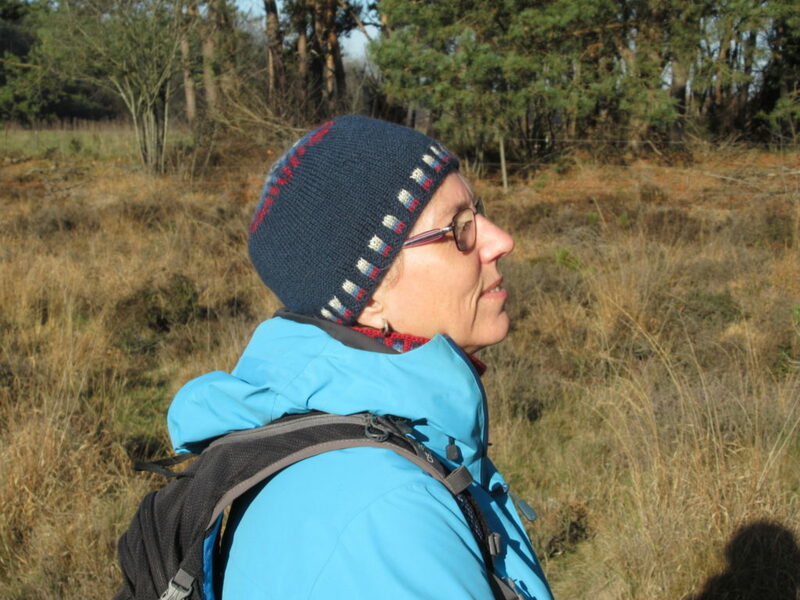 To my mind, Kate’s bunnet is ideal for an ordinary walking woman, too, as it is the only hat I’ve ever owned that actually stays put. I think that’s largely due to the multi-coloured corrugated ribbing in the brim. Apart from a colourful brim, the hat has a lovely star shape on the crown. 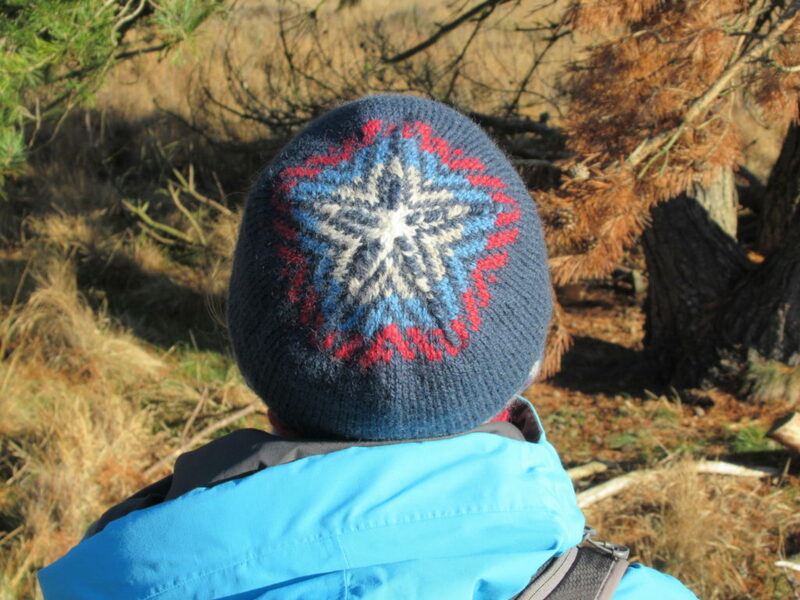 I knit the hat in Kate’s own Buachaille, a wonderful warm, woolly yarn. Buachaille. It takes quite a bit of courage to choose a name that is so difficult to pronounce and remember for a yarn. But for me, as an ex-translator, it is an extra attraction. I love the shapes and sounds of words, and immediately delved into this one. It turns out that Buachaille is pronounced something like boo-chal-ya and means herdsman or shepherd. The yarn comes in 11 colours, with lovely names like Moonlicht Nicht (the deep blue main colour of my hat), Ptarmigan (natural white) and Between Weathers (sky blue). 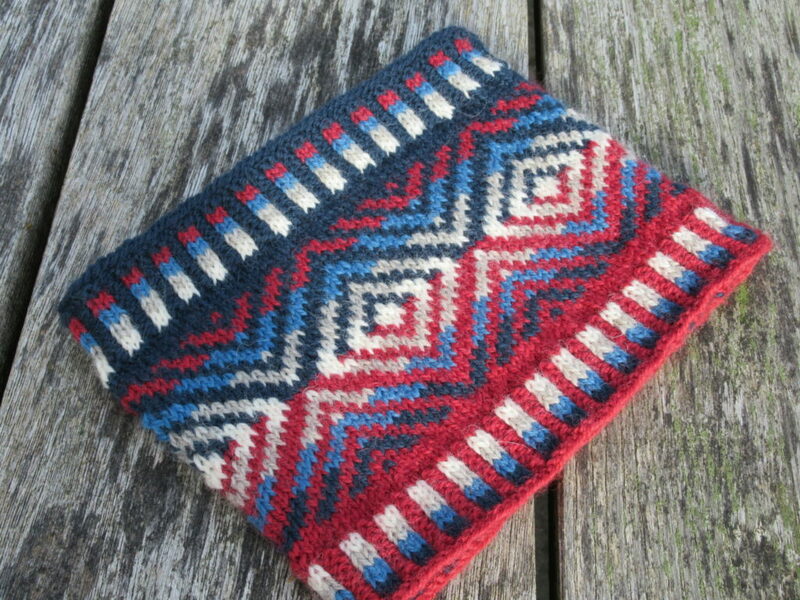 I also photographed the cowl flat, so that you can see the pattern more clearly. I started and ended with the same corrugated ribbing as in my Bunnet. In the middle I used the pattern from the crown, with diamonds inserted between the ‘arrows’ and the entire pattern turned upside down for the second half. For a little extra interest I knit one half with dark blue Moonlicht Nicht as the background colour, and the other half with raspberry red Macallum. You can find more details about the hat and the cowl as well as some extra photos on Ravelry. 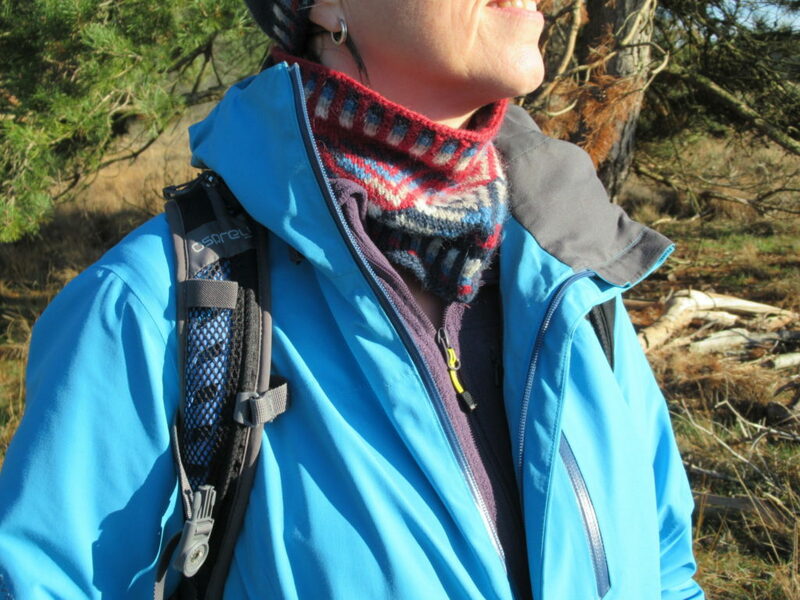 For anyone who’d like to make their own Bunnet, the pattern is from Buachaille: At home in the Highlands, a book with twelve knitting patterns, several Scottish recipes and a route for a walk in the West Highlands. 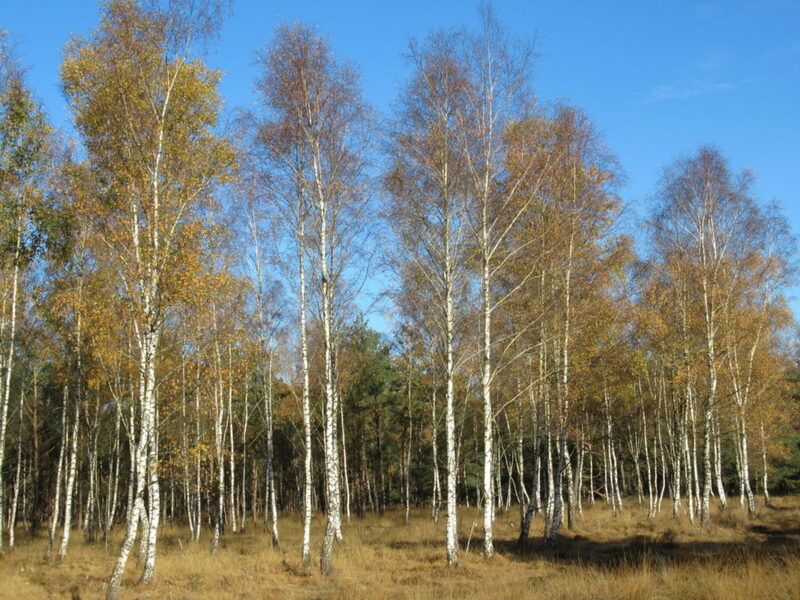 Then along a stand of birches, with the bright sunlight accenting the white of their trunks. 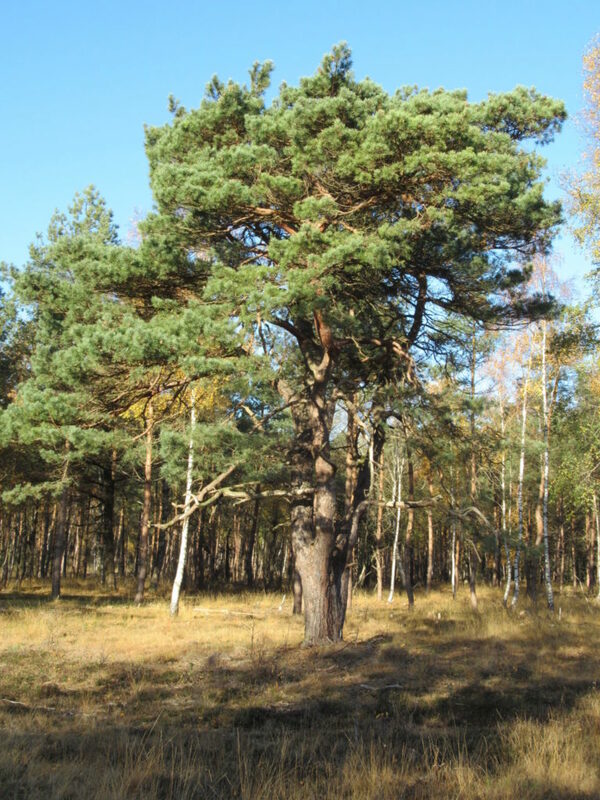 On past a majestic pine tree. 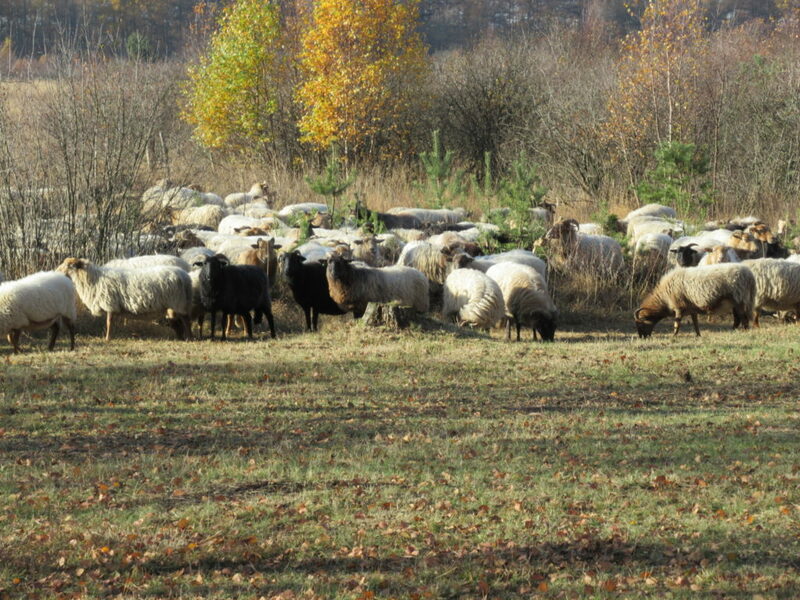 One of our local flocks of sheep. We had an interesting chat with one of the shepherds, but this blog post is long enough as it is, so I’ll keep that for some other time. Note: This post is not sponsored in any way. I write about things I like just because I like them.